Grew Up... working in the family business as a member of the merchant marine. It wasn’t a terrible life, but Llewyn always dreamed of being a folk musician. After countless days practicing his guitar on ships, ports, and clubs all over the world, Llewelyn returned to New York to try and make it as a professional musician. Living… in New York, without money, a home, or a job. Llewyn crashes on his friends’ couches, bouncing from place to place as he wears out his welcome. He takes any gig he can get, and hounds his agent for the sales revenue from his solo album “Inside Llewyn Davis.” Unfortunately, there isn’t much revenue to speak of. Profession… musician. Llewyn is struggling to relaunch himself as a solo artist after the suicide of his partner, Mike Timlin. He’s determined to make it on his terms, and refuses to attach his name to anything remotely commercial. He’s learning that making it as a musician is hard, but making it as a musician with integrity is even harder. Interests… folk songs. Even as he sees the foundation of traditional folk music eroded by the tides of crass commercialism, Llewyn retains hope, and dedicates himself to performing the kind of pure folk music that he sees disappearing from the world. Challenge… become a famous folk musician – or at least one that can pay rent. But times have gotten tough without his partner Mike, and Llewyn is beginning to question whether he has what it takes to make it as a solo act. Desperate for his big break, or at the very least for some guidance, Llewyn decides to make the trek to Chicago so he can play for the legendary Bud Grossman and hopefully launch his solo career. Personality… brooding, depressed, and irritable, Llewyn has dedicated himself completely to his art. He despises the musicians who are willing to sell their souls to make money, calling them, “a little careerist, a little square, and a little sad.” While his principles are admirable, Llewyn’s blend of artistic idealism and brooding cynicism are irreconcilable, and seem certain to keep him locked in place – alone, broke, staring out into an uncertain future. 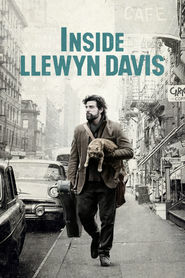 Llewyn Davis's popularity ranking on CharacTour is #1928 out of 5,000+ characters. See our top-ranked characters and read their profiles.